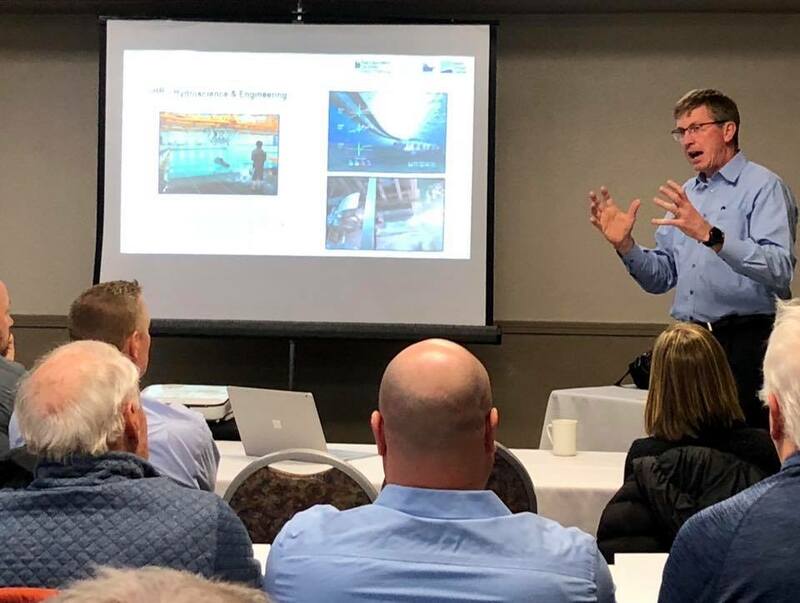 IGLA (Iowa Great Lakes Association) and Clary Lake Service was honored to bring the world renowned hydrologist, Dr. Larry Weber and his colleagues working to evaluate the Iowa Great Lakes Area Watershed, to a packed house at Arrowwood Resort and Conference Center at Okoboji. This study will take approximately 6-months to complete and findings will be presented to the community in Spring ’19. The main issue is the flooding associated with stronger weather incidents due to climate change and what can be done to prevent further damage to natural resources and property. Your support of IGLA allows much-needed studies to take place to protect our natural resources, people and property. Join us today at iagreatlakes.org!